As Chinese New Year approaches, global tourism entities are scrambling to attract the Chinese traveller to their countries. According to statistics on Wego, China’s outbound travellers are estimated to exceed 100 million this year and with an overall spending of 140 billion in 2014. Inbound destination marketers around the world are now competing for attention from this lucrative segment. Relaxation of visa restrictions, food and wine tours, pop stars, even social media competitions from tourism bodies are all methods that are being employed by destination marketers attempting to attract Chinese travellers, during and beyond their biggest holiday period of the year. Last year a number of countries announced a lifting of complex visa regulations which results in their destinations becoming a great deal more attractive to the Chinese traveler. Last week, Malaysia’s Prime Minister Najib Razak announced the waiving of the visa application fee for Chinese tourists, which is expected to be in place before the Chinese New Year. Targetting 1.4 million Chinese arrivals in 2015, Malaysia hopes to see a big return of Chinese visitors whose numbers dropped during 2014. Malaysia’s Tourism Minister has also said publicly that marketing efforts will be concentrated on Chinese nationals this year, rather than expanding into new markets. It is hoped that with the additional launch of Malaysia’s Year of Festivals 2015 (MyFest 2015) and individual state run promotions such as Visit Penang Year, the country will again become a popular destination with the Chinese market. Indonesia also recently included China in the five nationalities not required to purchase a visa on arrival (official effective date yet to be announced), particularly significant with the increased popularity of Bali with Chinese holidaymakers. In November, the United States and China entered into reciprocal visa extension agreements for short-term business and tourist travel between the two countries, and India added Chinese nationals to the list of countries eligible to apply online for visa on arrivals. Meanwhile, Thailand, a longtime favourite destination of the Chinese, also removed visa fees and directly marketed to travellers last month appointing Thai pop sensation Mario Maurer (who has an enormous Chinese fanbase) as a cultural ambassador. 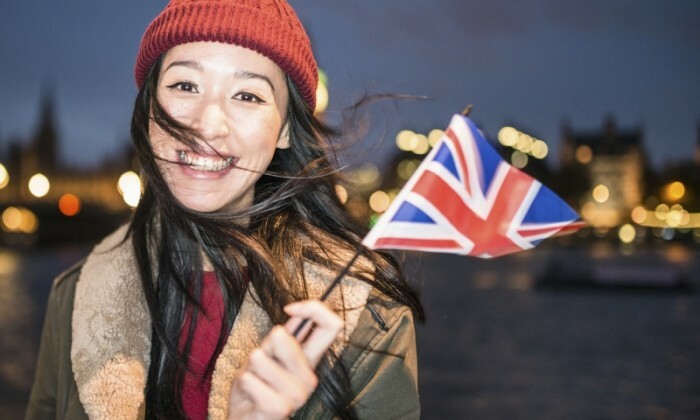 Today Destination marketers are making the most of their country’s unique offerings to specifically target the needs and wants of an evolving Chinese tourist, particularly at Chinese New Year. Australia is luring the Chinese with seafood and wine promotions to meet the growing popularity of food tours, with the country’s natural beauty and wildlife a big pull for family travel as well, in spite of a relatively higher travel budget. In the US, the hotel industry is doing its part to attract the growing number of Chinese visitors by sending sales representatives to China to learn basic Mandarin, changing room numbers associated with bad luck in Chinese culture, and serving comfort food such as congee, noodles and Chinese tea. Chinese speaking guides are being provided by large shopping malls, and local payment system China UnionPay is becoming more frequently available. Ultimately, the key to attracting Chinese travellers centres around making the travel process simple and easy, catering to specific interests and needs. According to the World Tourism Cities Federation, there are five points which are key to swaying the selection of a destination by a Chinese traveler. These are easier visa processes, direct flights, dedicated tours with Mandarin speaking guides, more tax refunds, discounts and payment gateways, and specific marketing campaigns within China. I expect Singapore and South Korea, who have also both simplified the visa process, to lead destination choices for this Chinese New Year holiday. Singapore has the attraction of great shopping and local language, and South Korea has aggressively marketed the ‘Korea Grand Sales’ shopping festival to fall during the Chinese New Year period. Along with the Chinese fascination with the country’s local pop culture, South Korea is likely to be the destination of choice this year. Easy access and designing your destination in a way that resonates directly with the Chinese is the key to attracting more visitors. It seems that the global travel industry is taking notice and so far these steps are proving very successful. The writer is James Huang, Wego’s market development manager for North Asia. Under the collaboration, McCann Shanghai has been appointed to lead Skyworth TV’s brand advertising strategy and creative services..
Skincare brand Have & Be has created over 35 shorts videos where different men perform comical skits, including parodies on the ic.. This new collection will be rolled out later this month on board and in United Polaris lounges and United Club locations with show..